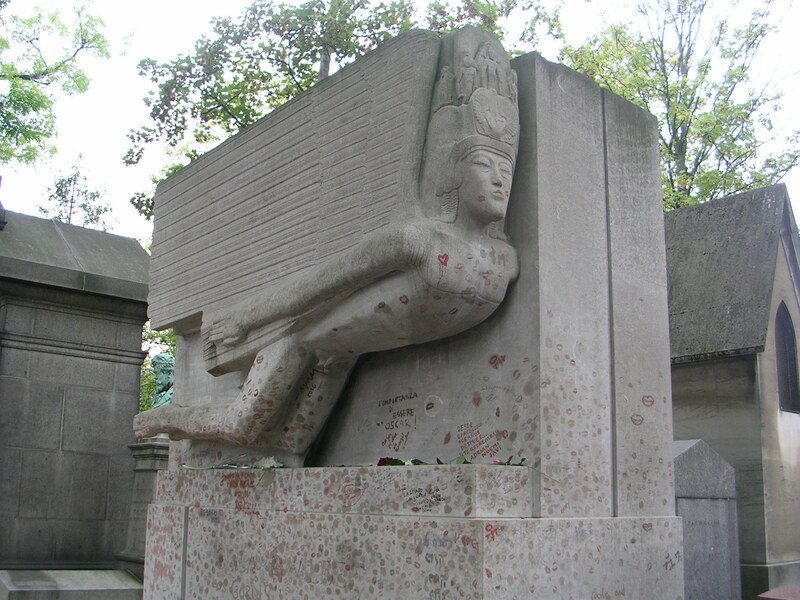 The monument was originally commissioned in 1909 by Wilde’s lover and possibly closest friend Robbie Ross, for Wilde’s second resting place at Père Lachaise Cemetery in the city of Paris, his first being the Cimetière de Bagneux outside Paris where Wilde “rested” for only 9 years. The commission was a very important one for the 29 year old American sculptor, who had been in London for only a few years and was still suffering the backlash from his work on Charles Holden’s British Medical Association the year before. 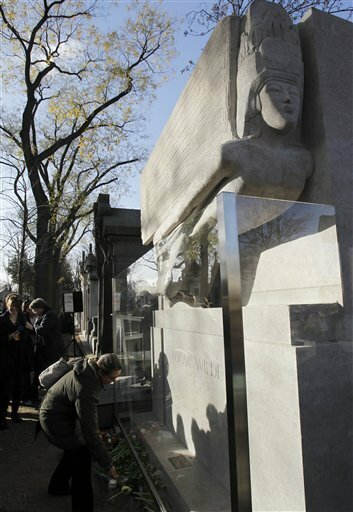 The reason for the restoration was the vogue (only a decade or so old, from what I can gather) for leaving lipstick kisses around the monument’s base, the grease from which was beginning to cause significant damage to the limestone. So the base of the work has now been cleaned and restored and is wrapped up in a glass and steel screen, which looks tasteful enough from the photos, and I am sure is the right thing to do to protect this wonderful piece for future generations etc etc.. Although I can’t help but feel that Oscar himself would almost certainly have preferred the attention and the adoration of the lipstick kisses….